For its outstanding efforts in providing increased access to dentistry for Ohioans in underserved areas through free or reduced fee dental care, the Stowe Mission of Central Ohio Dental Clinic will be honored with the Access to Dental Care Award during the Callahan Celebration of Excellence, held Friday, Sept. 16, in conjunction with the 145th Ohio Dental Association Annual Session in Columbus. Stowe became involved in dentistry through his father-in-law, John Fitzer, who sold dental supplies for Ransome & Randolph Dental Co. and later worked as a sales rep for Columbia Dental Lab. Stowe’s passion for dentistry led him to find fulfillment in providing dental care in mission settings overseas. While working overseas was a great experience for Stowe, he later realized a need locally as well. “I reached out to a local food pantry ministry that was being conducted by my church. Plans began in 1982 for developing a dental clinic ministering to the homeless, indigent, and working poor in inner-city Columbus,” he said. “I stayed committed to the people of our area during the 1980s and 1990s and watched as the number of patients we were seeing began to steadily increase. Over time, more than 50 churches in the Metro Baptist Association became interested in getting involved, as well as, other dentists, hygienists and dental assistants. We were seeing patients in a 4-chair clinic,” Stowe said. The clinic attracts the homeless, indigent and the poorest of the poor. There are no geographic restrictions and people come from as far away as Lancaster, Marysville, Zanesville and Cincinnati and all points in between. Dr. William Meyers, Chair of the Columbus Dental Society Honors and Awards Committee said “the success of the clinic would not be possible without volunteers. There is a core group of nine dentists, OSU senior dental students, radiologists and lay persons who work each week. The donation value per patient is about $400 which includes, x-rays, surgery, sutures, and take-home meds,” he said. “The yearly treatment total is approximately $260,000.” Since its opening – that’s a donation of over 3 million dollars. In addition to his personal volunteer efforts, Stowe believes younger dentists should also participate in volunteerism as members of one of the most unique professions in the world. “Our services are needed by people everywhere. There are so many people these days that are left out or have fallen through the cracks and are not receiving any dental care due to an ineffective healthcare system and economy,” Stowe said. “Volunteerism is the action professionally needed to again fulfill the law of Paying Forward. The ODA provides to us many benefits such as protection, advice, opportunity, fellowship and a political voice. Organized dentistry gives us power to make a difference.” For Stowe, it’s simply helping others that puts purpose and meaning to his life. Pastor Michael Brooks, President and CEO of Stowe Mission of Central Ohio agrees. “This is an awesome ministry because the healing takes place immediately and you can see the joy on people’s faces as they leave,” he said. 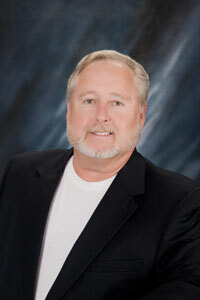 A 1977 graduate of the Ohio State University College of Dentistry, Stowe has been in private practice for over 30 years. He returned to OSU as a part-time clinical instructor from 1979-1986. Stowe has been married to wife Michelle for 39 years and has three children, Abigail, Nathan, and Emma. The Stowe family welcomed their first grandchild, Claire a little over one year ago with another granddaughter due in September. Congratulations to Dr. Danny Stowe and the Stowe Mission of Central Ohio Dental Clinic!